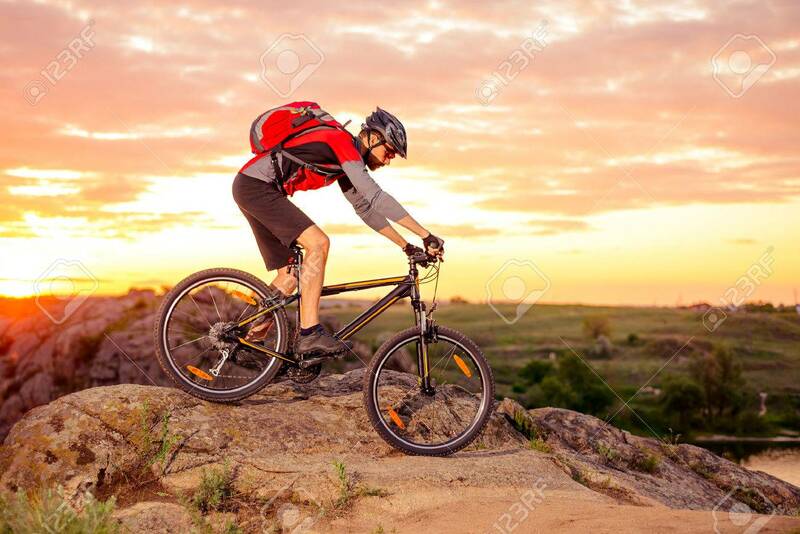 Cyclist Riding The Bike Down Hill On The Mountain Rocky Trail At Sunset. Extreme Sports Banco De Imagens Royalty Free, Ilustrações, Imagens E Banco De Imagens.. Image 61048697.